This 18 kt gold Daisy Flower pin is completely covered by 5.75 ct of diamonds, 1.35 ct yellow sapphires in the centre. 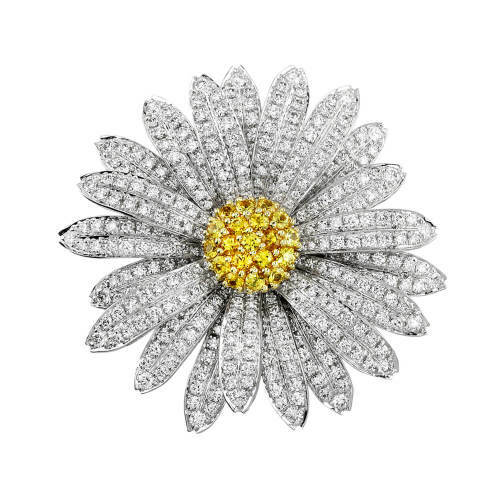 This 18 kt gold Daisy Flower pin is completely covered by 5.75 ct of diamonds. The center consists of a total of 1.35 ct yellow sapphires. Also available with a fully white center of 1.35 ct white sapphires.